Since our Establishment 2007, We "Shubh Electrical Engineering" has emerged as India's one of the most important manufacturers, suppliers, and service providers of a complete range Electrical and Instrument Control Panels. Our Products are manufactured by using quality basic material and environment friendly processing techniques. Additionally, we also offer highly trustworthy services for essential infrastructure development, which includes power Optimization with the help of latest technology, energy saving, and energy audits. No matter the volume or application, Shubh Electrical Engineering can design and build the motors you need. Our precision electric motors are shipped to clients all over the world. Shubh Electrical Engineering Commits itself to Provide products and services conforming to national Standards, Following Statutory Requirement to Satisfy Customer Needs. Our products are renowned for their Quality and Performance. Continuous updating of available raw material and component data base helps us to use appropriate items for giving better quality product to our customer at a Competitive Cost. The Frames of motors are made of Cast Iron with integral feet, thin ribs & larger cooling area. End covers are also of cast iron with enough mechanical strangth. High Grade electrical Steel lamination are used for stator & Rotor of minimize losses. The Stator stack is assembled under pressure & clamped tightly with the help of cleats & then inserted in to cast iron frame. The Rotor are dynamically balanced to ensure quite & vibration free operation. Modified Ployester super enameled copper wire is used for winding. Double layer concentric winding with optium over hang gives improved performance & high reliability. 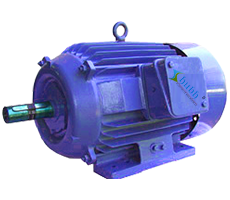 All standard motors are provided with class 'B' insulation. Motors with any other class of insulation ( F' of H' ) can be offered on request. DC or Direct Electric Current Motor works on the principal, when a electric current carrying Conductor is placed in a magnetic field, it experiences a torque and has a tendency to move. If the direction of electric current in the wire is reversed, the direction of rotation also reverses. When magnetic field and electric field interact they produce a mechanical force, and based on that the working principle of dc motor established. The PMDC motor designed by us has high starting torque, permanently lubricated sealed ball bearings and class B insulation. Their DC motors are available in different forms such as standard foot form and flange mounting form that are for solid constructions. Our range of motors comprises of gearboxes, integral tacho, encoder and other accessories. 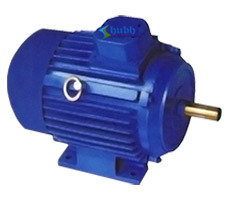 Specification of DC MOTORS : DC or Direct Electric Current Motor works on the principal, when a electric current carrying Conductor is placed in a magnetic field, it experiences a torque and has a tendency to move. Structurally and construction wise a direct electric current motor is exactly similar to a DC generator, but electrically it is just the opposite. Here we unlike a generator we supply electrical energy to the input port and derive mechanical energy from the output port.